Is there life after soccer, and what do the world’s elite footballers do if they’re not at the World Cup? They create their own topiaries, throw massive pool parties, style their friend’s hair and decorate cakes like a boss. In its first global campaign, created in-house with an assist from London-based Archers Mark, Wish tapped soccer stars from Italy, Wales, Holland, Chile and the U.S. for spots that promote its low-cost products, giving them creative (bordering on ridiculous) pastimes to fill the void while they’re on the sidelines of their sport. For instance, Claudio Bravo from Chile becomes a drone pilot, but not in the competitive sense. The flying gadgets are used mainly to air-drop ice cubes into his cocktails and tow him around the house on a skateboard. 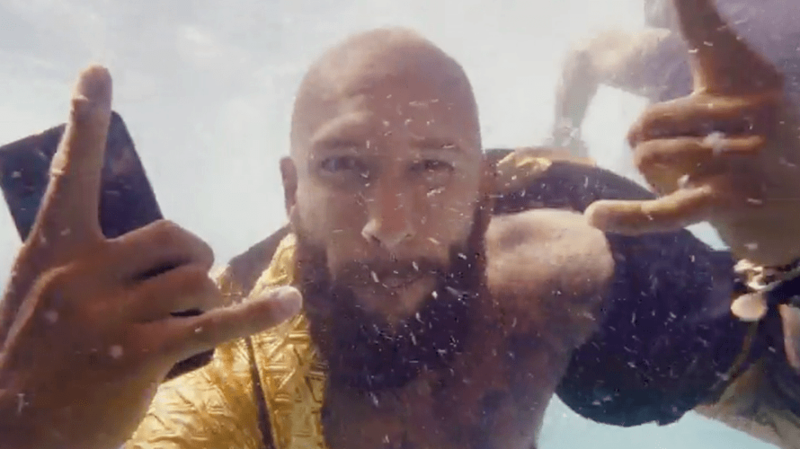 The U.S.’s Tim Howard, meantime, tricks out his backyard as a summer oasis, complete with giant swan floats, and becomes a beat-dropping DJ. Each player passes along pics and videos of his new passion, leading the next player to pick up an Instagram-worthy hobby that inevitably requires a lot of Wish gear. The retailer, known for its direct-from-manufacturer sales, hit $1 billion in revenue last year. Covering 80 countries, it brings in more than half of its revenue outside the U.S., which led execs to link with the globally popular World Cup. (Previous sports-centric marketing has included a UFC sponsorship, including the Mayweather-McGregor fight, and a jersey sponsorship of the L.A. Lakers). Wish’s creative director Martin Rossetti shot the ads in Turin, Madrid, Paris, Manchester and Amsterdam, aiming for watchable content instead of traditional ads. The 30-second spots are running internationally on TV (Fox Sports and Telemundo in the U.S.) and across digital and social media, where players at the World Cup like France’s Paul Pogba are batting messages back and forth with the commercial stars.